The leading figure on the Argentinian tango scene today fuses gritty sensuality with contemporary language in a daring show that combines tradition and innovation. 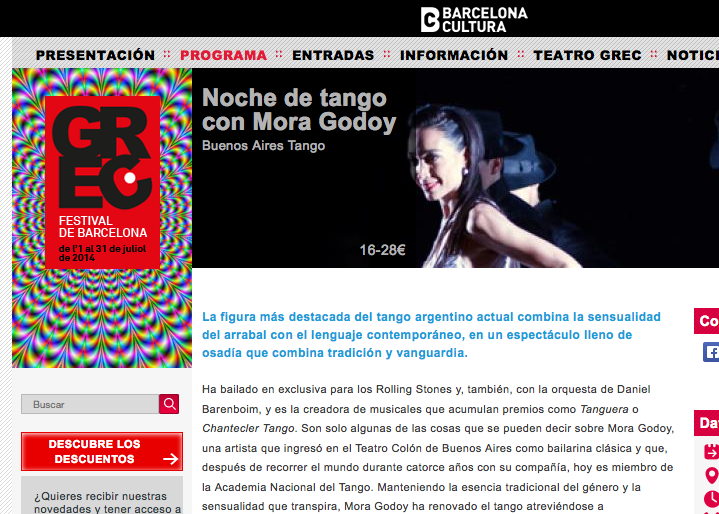 Once more, Montuno Producciones is in charge of the executive production of this show in collaboration with the Ministry of Culture of the Government of the City of Buenos Aires under the programme Barcelona, Gardel, Buenos AIres. Learn more about this performance here.